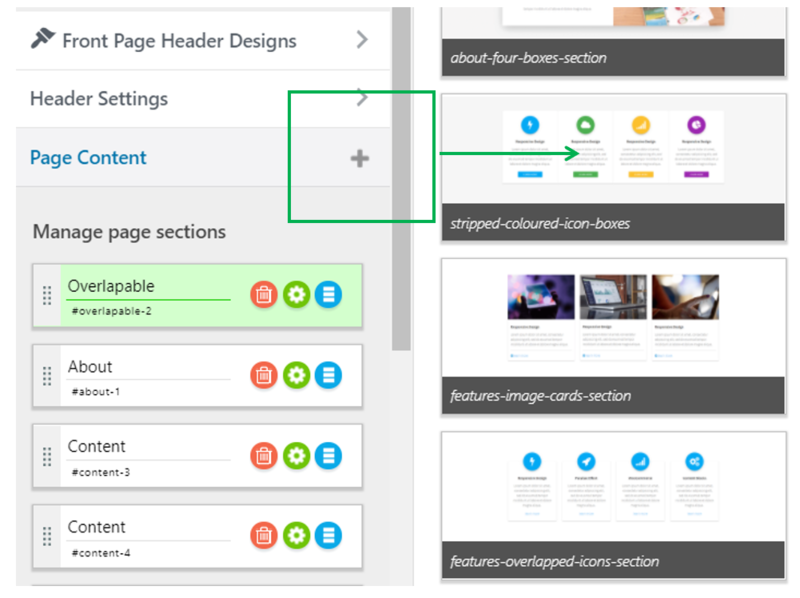 Now that we have set up the header background, dimensions, content and layout, both for home page and inner pages, let’s start customizing the content of the pages. 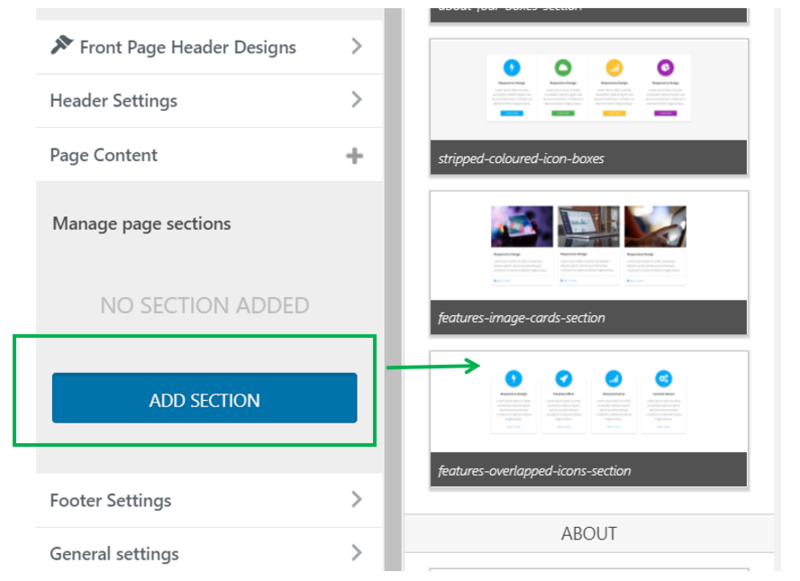 First, you have to open the customizer to the Page Content area. Click on the blue area to be able to start adding content. 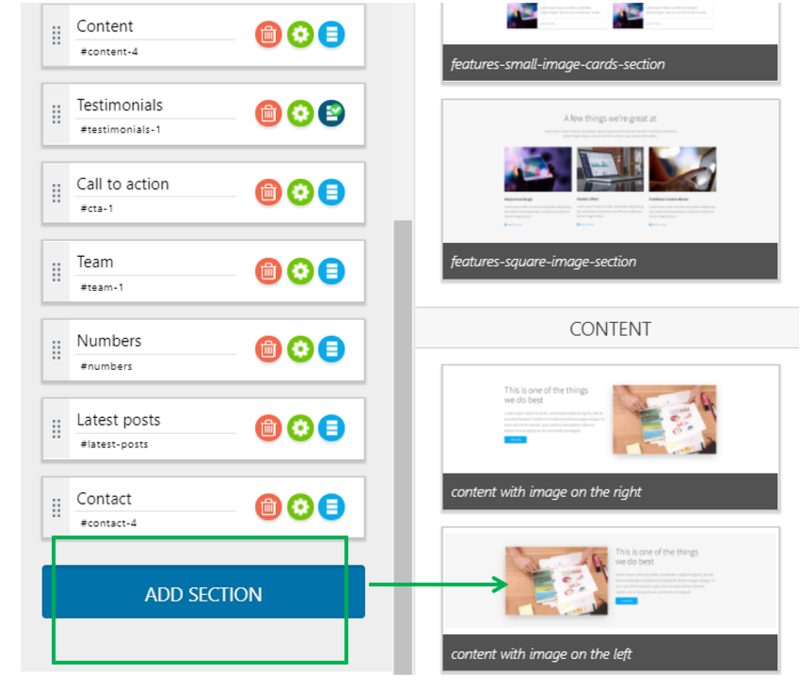 From this step, the customization process is the same, both for the front page and the inner pages. To preview the content sections, you can hover over a right bar and place the mouse on the magnifier inside. 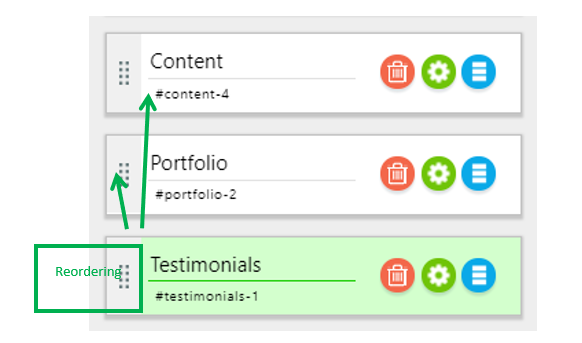 For adding sections, simply click on the button Add section placed on each content section available. 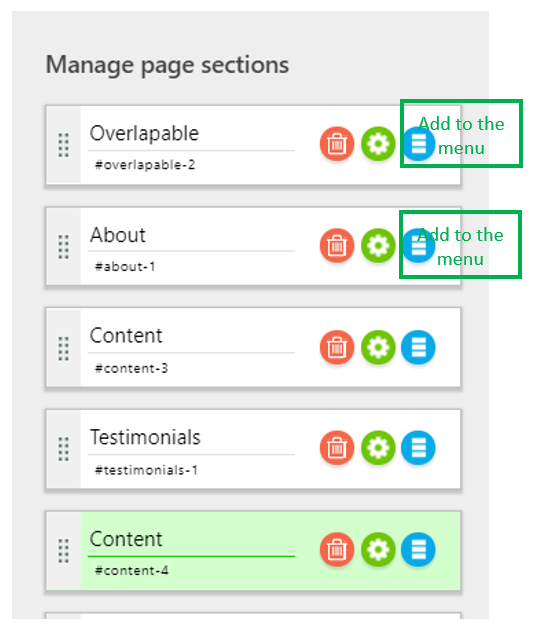 Note that the default items names in the menu will be overwritten by the ones you add for each content section. 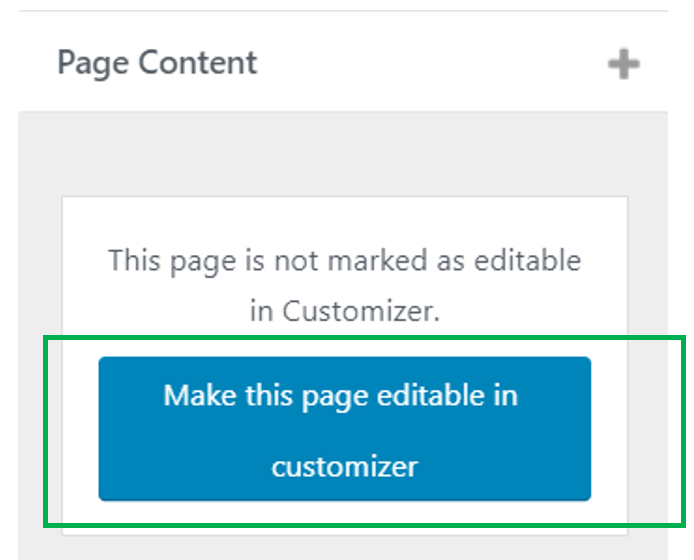 If you want to remove a link (an item) from the menu, but keep the corresponding content section in the page, exit the Page Content section and go through the Menus section, in the customizer. From there, you can remove the item from the menu. 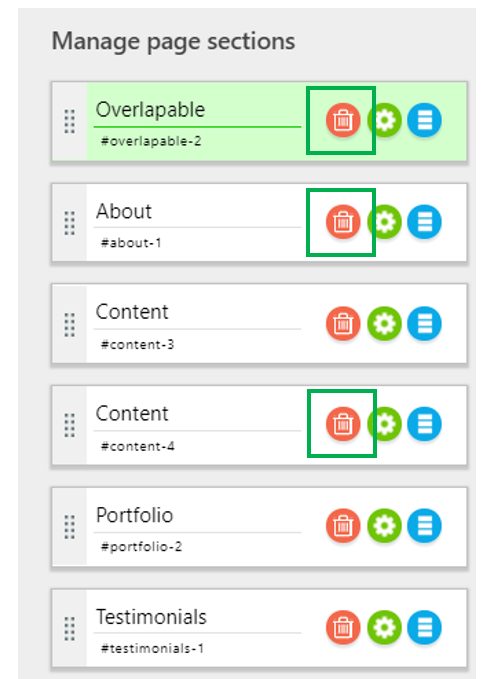 For changing the title of a content section, place the cursor above the green line and replace the name of that section. It will automatically update the item name in the main menu, too. 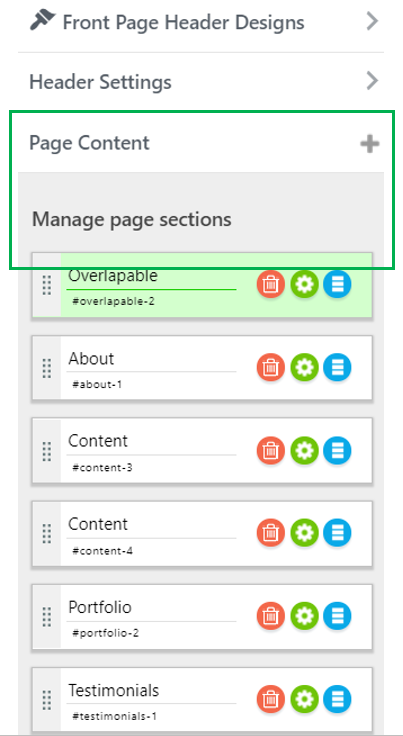 You have defined the areas of content (content sections) for your page, you have removed what is redundant and you have reordered the items (content sections) the way you want. In addition, you have added links to each content section in the menu, for users to easily access the section of their interest. Now it is time to start editing each content section.